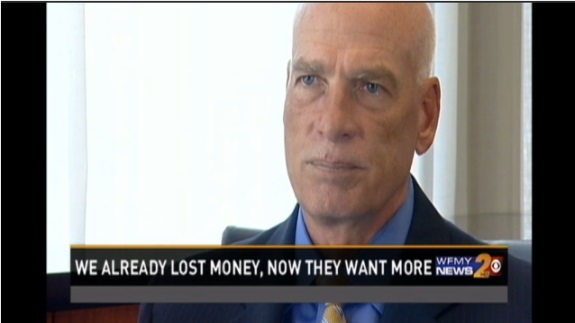 WFMY interviewed Zeek Rewards receiver Ken Bell as part of its report on an apparent reload scam. WFMY (CBS/Greensboro, N.C.) is reporting that it exposed an apparent Zeek Rewards reload scam operating on Google’s Blogspot platform — and that Google has removed the offending Blog. The scam was operating at a URL of ZeekRewardsIsComingBack.blogspot.com, the station reported. WFMY contacted Zeek Rewards’ receiver Kenneth D. Bell as part of its report. Bell told the station that the Blogspot site looked like “another attempt to revictimize” Zeek investors. Whoever controlled the Blogspot site was telling Zeekers there was a “simple process” to “get your money back,” WFMY reported. Separately, the PP Blog located content online that suggests the Blogspot site was soliciting Zeek victims to send funds to at least three offshore payment processors: Payza, Liberty Reserve and Perfect Money. All three processors are known to do business with international scoundrels. On April 1, the PP Blog observed an online pitch for an entity that appeared to be using the name and address of a U.S. government agency while promising “to recover” funds lost through Profitable Sunrise. The fake agency claimed it could recover losses for a sum of less than $50 and encouraged Profitable Sunrise members to send money to purported accounts at the Liberty Reserve and Solid Trust Pay payment processors. The Blog reported information about the fake site to a U.S. government agency. North Carolina regulators have repeatedly warned about so-called “reload scams,” including scams that surfaced after the SEC alleged in August 2012 that Zeek was a $600 million Ponzi- and pyramid scheme and scams that surfaced after North Carolina brought a cease-and-desist order against the Profitable Sunrise HYIP in February. The SEC has alleged that Profitable Sunrise was a massive online pyramid scheme. In 2010, the state of Delaware charged a Detroit man with racketeering for his alleged role in swindling a woman who’d earlier been ripped off in a securities swindle. The state deemed the follow-up swindle an “investment recovery scam.” Delaware is among many U.S. states investigating Profitable Sunrise. Zeek itself is known to have used offshore payment processors. Prior to the SEC bringing spectacular allegations of fraud against Zeek last year, Zeek was auctioning sums of U.S. currency and telling members they’d be sent their winnings through offshore processors. Here’s the WFMY report on the apparent Zeek Rewards reload scam . . . They take your money fast! However, try to get any money out is imposable. There are 21 of us. One has been locked out, and no matter how many tickets filled out the just ignores them. The rest of us have not been able to take out no money except for one person. They took out $94.00 and it took 4 months. This has been going on since they bought JUST BEEN PAID. What is sad, the longer they go on doing this, more people are getting stung. One of us put another $1000.00 on there new 3% site, and hasn’t been able to pull no money out. They promised to be able to pull money out easier. All has been a lie. Profit Clicking is a rep off. Stay away, you have been warned!!!!!! !